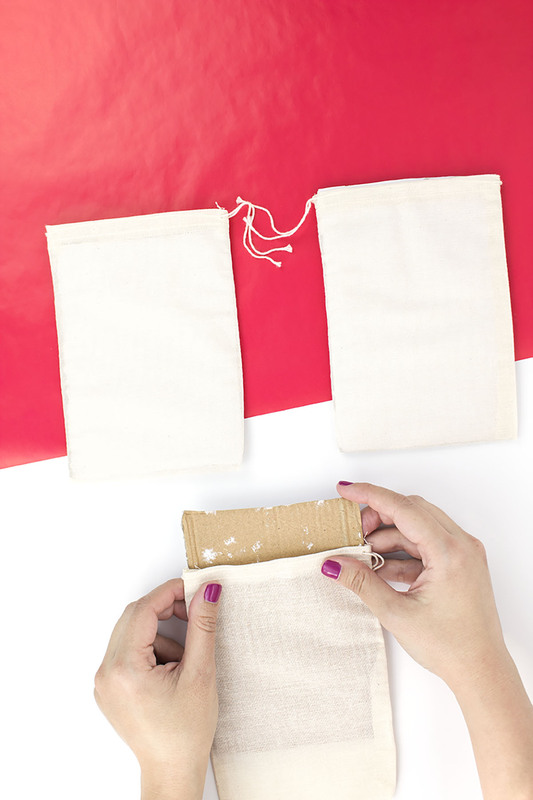 Cut out cardboard to the size of your pouch, and place it inside to stop the paint from bleeding through to the other side. 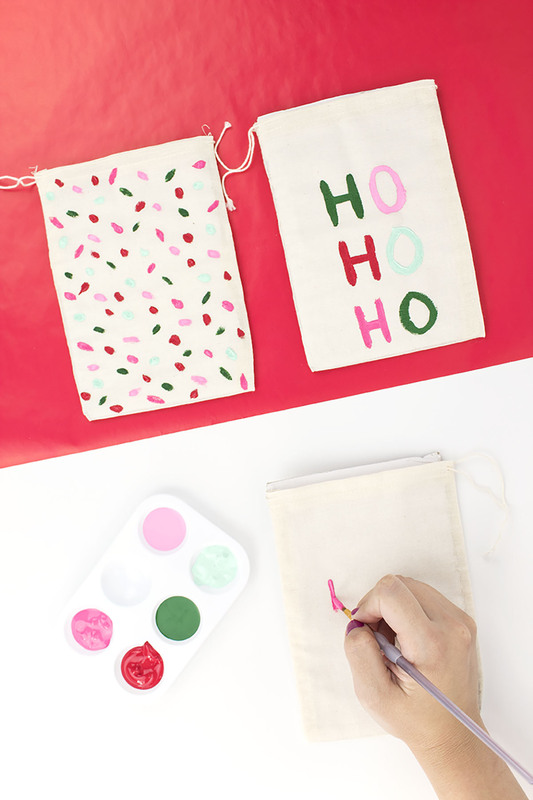 Paint designs onto your pouch. 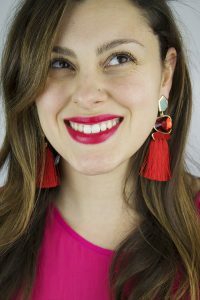 I used a modern palette with 2 shades of pink, bright red, dark green, and mint green. You can use whatever colors you prefer! 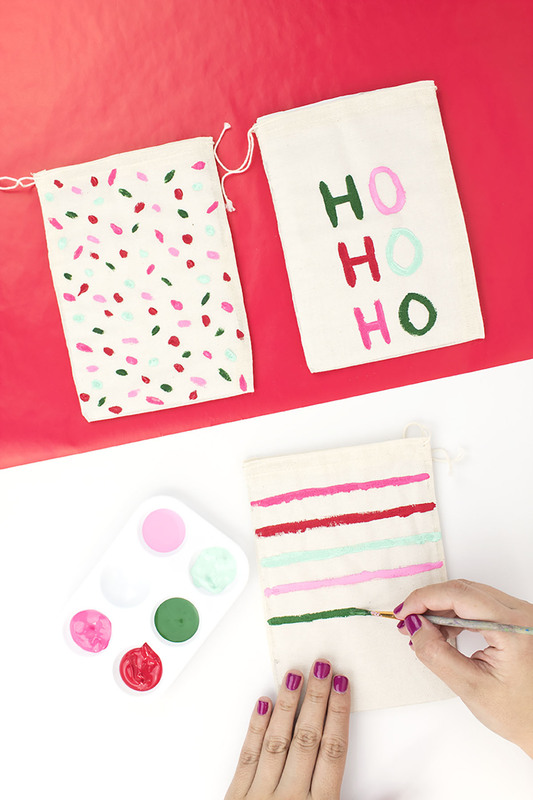 For the designs, I did easy dots and stripes, plus Christmas messages like HO HO HO and FA LA LA. I kept it a little messy and fun, but you can use painter’s tape for straight lines or the back of the paintbrush for perfect dots. For your letters, paint a line going down, then go back up so that it has a perfectly round edge instead of trailing off in an unfinished shape. 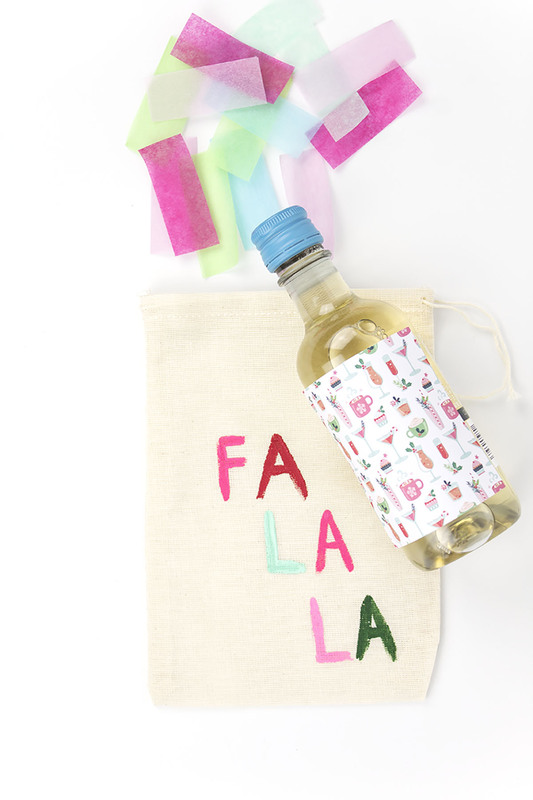 Fill your bags with gifts, like mini wine bottles or gift cards. You can fill in the empty space with tissue paper or confetti. 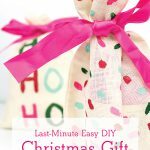 These pouches would also be perfect for cookie mixes! 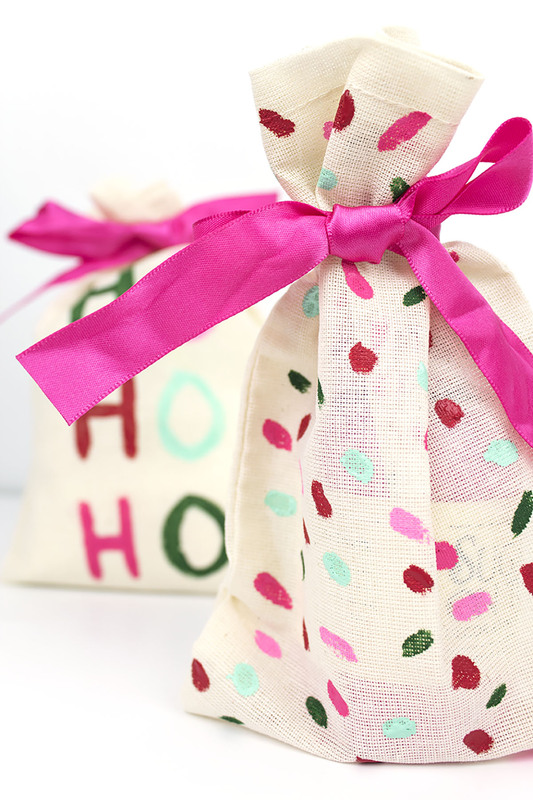 In a baggie, place all the dry ingredients for your favorite cookie along with a cute printout of the recipe. I went with a basic sugar cookie with sprinkles, but you could go with one of these fun cookies from Pinhole Press’s 2018 Holiday Cookie Bake Off! Once you’ve added your gifts, close your pouch. You can keep the drawstrings it comes with, or remove them and add a ribbon as I did. Pop on a gift tag and you’re all set! 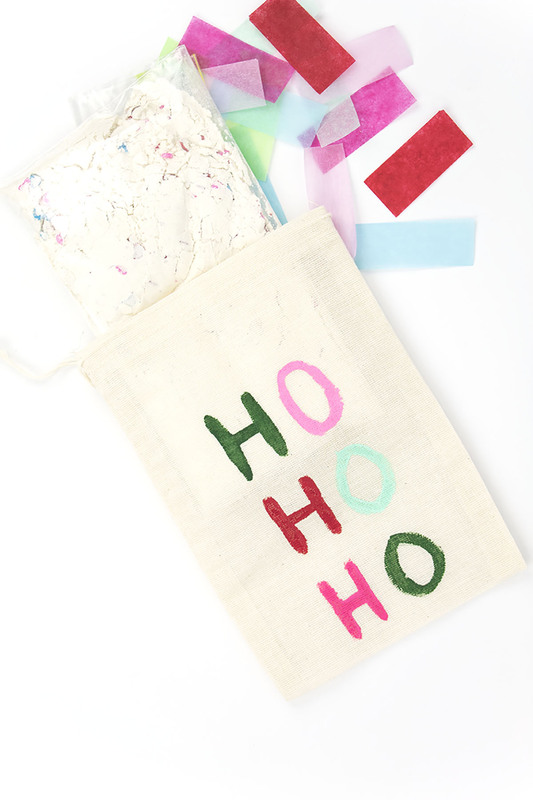 These pouches are perfect for teacher’s gifts, secret Santa, or in the place of stocking stuffers. 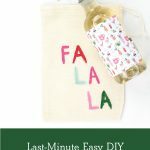 Tasty cookie mixes are perfect gifts for PTA members and neighbors. And, don’t forget to participate in Pinhole Press’s 2018 Holiday Cookie Bake Off! They’re giving away tons of amazing prizes, and it’s so easy (and delicious!) to enter. Learn more here and get your apron ready- we’ve got cookies to bake!